I often get asked about my gear when I am doing gigs or teaching, so thought I would post some pictures and info for anyone who is interested. My rig is pretty basic. Mostly just guitar into a few effects then into the amp with a couple of good cables. I use one of 3 pedalboards depending on the gig. I have a Boss GT3 which is super reliable and has some great sounds and flexibility. I also have a 'pedaltrain' type board in a light duty flight case for mixing pedals as required. It is powered by a DC Brick. I also have a small home-made one fashioned from ply and painted black. It is lightweight and allows a limited number of pedals to be powered from a One Spot. Cost $5 for the board!! My pedals are: Bob Burt GR8 Overdrive, Tonerider British Tone, Fulltone Catalyst, Wampler Hot Wired, TC Electronics Flashback, Behringer Hell Babe Wah, Mission passive volume pedal, MXR Dynacomp. I naturally use the gorgeous sound of the Mesa drive channel for great overdrive also. I love it that each guitar I have makes me play differently and inspires me in different ways. Here I have included some of them. I'm not a collector. Just a player. My amp of choice is the Mesa Lonestar Special. This is easily the best (and most expensive!) investment I have made in my sound. EVERY guitar sounds great through it. A/B test one with most amps and you'll see what I mean. With Mesa, customer satisfaction is paramount and I have found them an amazing company to deal with. All of these instruments have been set up and/or repaired by Pete Walcott at Walcott Guitars. 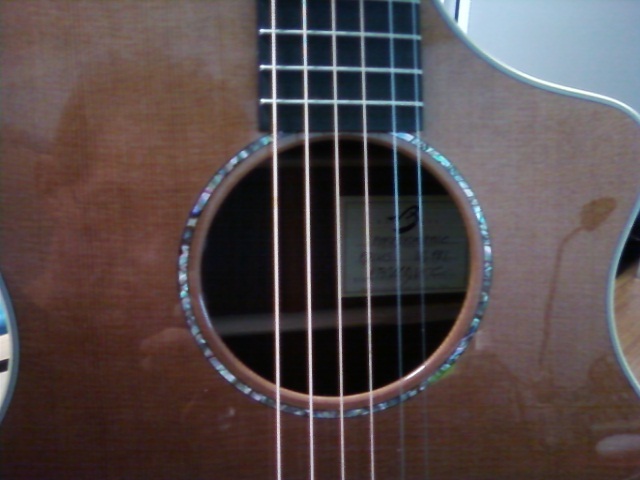 This beautiful guitar was made in Oregon USA by Kim Breedlove. It has a solid cedar top, mahogany neck, ebony fingerboard and rosewood back and sides. It has quite a wide neck and is very responsive. The pickup system is LR Baggs with a blender between the piezo pickup and inbuilt microphone. 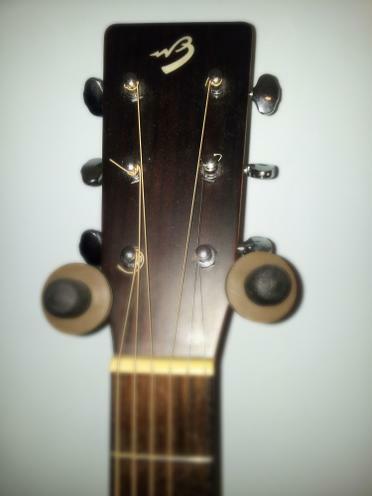 The controls are just inside the soundhole near the 6th string. Definitely a favourite! I bought this one via eBay very cheaply. No frills, solid spruce top, laminated mahogany back and sides. Plays like an absolute dream. Comfortable, lots of bite and body for a small guitar. I love it! In fact, I want one of each Breedlove model. It's hard to believe but this little guitar is a beauty. Definite favourite. Here's a guitar you don't see every day! This is a short scale Levinson Blade. Gary Levinson is a Swiss based designer who has incorporated some very cool desing features. The preamp in this guitar is great. Super lightweight. 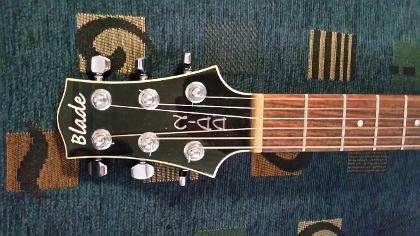 I replaced the standard tailpiece with a Schaller Signum and sustain and intonation is much better now. A really fun guitar to play. 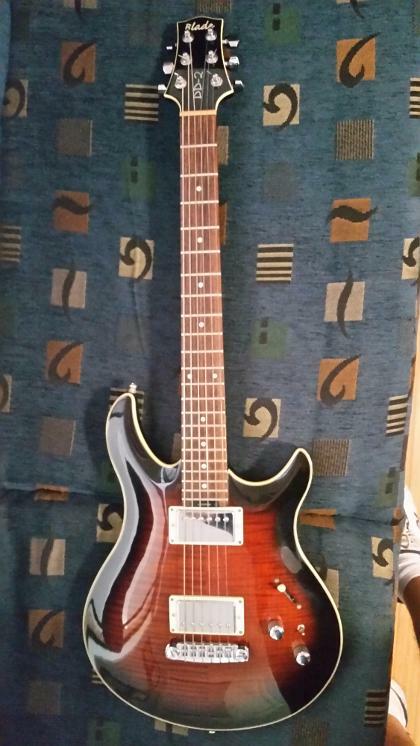 I bought this striking guitar in 1985 and we have done hundreds of gigs together. It was my only electric solidbody for many years. Beautiful straight neck. I have replaced the pickups several times. It is fitted with a Dave Leddin handwound custom rewind of a Seymour Duncan in the neck position and it sounds fantastic. Dave Leddin does great work and I highly recommend him for any electronics, pickup and retro parts. I have a little 59 Seymour in the middle and a Duncan Custom Custom in the bridge. Gibson mini-humbuckers give this beast a beautiful smooth but bright sound. Only 1962 of these were made. Properly set up with a replacement Tone Pros bridge and it sounds great. The green machine. This guitar sounds great thorough almost any amp. The first shot of it here is in the orchestra pit for the musical 'WICKED'. It was my back up electric just in case but I never needed to use it. The 12 string is a guitar that used to belong to me but I sold it to a friend who graciously offered for me to use it for the show. The Strat is definitely a favourite! Something about the design of a strat. It always feels right to me. It has Kinman Big 9-0 pickups in the neck and bridge. Original Fender Noiseless in the middle. This guitar always gets comments about how beautiful it is. 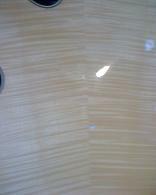 It has a great finish although the gloss laquer is probably a little heavy. The top is laminated but the build quality is excellent. I love the feel of this guitar. It is warm and round like a jazz box should be. A photogenic guitar too! Definitely a favourite! I have had this old girl since 1981! It is the most prized guitar I have. 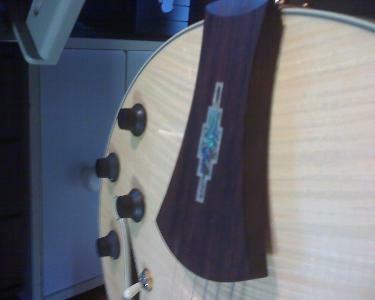 It has a very solid spruce top and was top of the line when I bought it. It has aged beautifully and provided me with hours of enjoyment. A gem to play and a sound to die for. Everybody who plays it wants it! Definitely a favourite! Nylon string and banjo are missing from the first photo. 6 instruments in all! No chance to catch your breath in this show! The mandolin is borrowed. Acoustic instruments were played into a close mic that had a foot controlled on/off switch. Electric was played direct into a Boss GT8 pedalboard with no amp. (eeeeek). Sounds required are preset by the sound designer so that the show would have consistent sounds from place to place. The mixer in the shot below is for setting up an individual monitor mix. It has memory recall so that each piece of music can have it's own settings if needed. The bass rig can be seen in the background. Fretless, 5 string and double bass. We were both pretty busy! I bought this from Clarinda's Music in Arkansas USA. It has a Fishman pickup/electronics and although all the notes are in the wrong place I am gradually becoming familiar with it. It is a cute little thing.